The Aldo Leopold Foundation works to weave a land ethic into the fabric of society; to advance the understanding, stewardship and restoration of land health; and to cultivate leadership for conservation. We offer a wide variety of programs that connect people to our natural world and the legacy of Aldo Leopold, or go even deeper to train and cultivate leaders in their communities or in the field of conservation. Who is Aldo Leopold and how does the Foundation&apos;s mission embody his legacy? Aldo Leopold (1887-1948) is often considered the father of wildlife ecology. Trained as a forester, Leopold became a leader in the emerging field of conservation. As a teacher (UW-Madison) and prolific writer, he was successful at sharing his influential ideas, many of which still have significant relevance today. Among his best-known ideas is the “land ethic,” which calls for an ethical, caring relationship between people and nature. How does the Foundation&apos;s building itself reflect Aldo Leopold&apos;s life work? The Leopold Center was built in 2007 with careful thought on design, materials and process in order to create a functional visitor center and office that embodied Leopold’s land ethic and in his words “to live on a piece of land without spoiling it.” At the time of its opening, it received the highest LEED Platinum rating ever given, essentially making it the greenest building in the world. Tell us about some of the events you have hosted and/or look forward to hosting. The Aldo Leopold Foundation is home to Leopold’s Shack & Farm, the place where he and his family happily escaped their urban lifestyle. The National Historic Landmark, as well as the green Leopold Center, draw visitors from around the world. Guided tours are offered April–October, and self-guided tours are available year-round. Each fall, the Foundation also hosts Crane Congregations, a unique opportunity to experience the sandhill crane migration. Thousands of cranes will gather each fall on the banks and islands of the Wisconsin River in preparation for their southerly journey. The sights and sounds are a wildlife spectacle to behold! 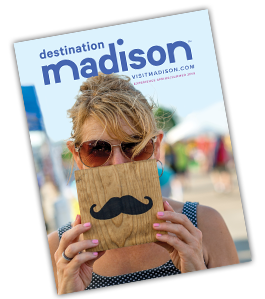 The Greater Madison Convention and Visitors Bureau is a valuable resource for visitors and locals alike–a one-stop shop for planning a trip complete with places to stay, eat, and things to see and do. Just a short 45-minute drive from Madison, the Aldo Leopold Foundation partners with GMCVB to tap into tourism of the metro area and draw visitors (and residents) north to a conservation destination a little way off the beaten path. Come visit! In addition, we have ambassadors across the country that are helping advance a land ethic in their communities. Sound interesting? The Land Ethic Leaders workshop is offered annually and can travel to larger groups unable to visit the Leopold Center. In addition to managing the 600 acres of the Leopold property and cooperatively leading the management of the 16,000-acre Leopold – Pine Island Important Bird Area, the Leopold Foundation also hosts a fellowship program for recent college graduates. The Future Leaders Program is a unique opportunity for recent grads to immerse themselves in Leopold Country and gain hands-on, field experience as well as intentional curriculum and professional development opportunities to prepare them for leadership roles. 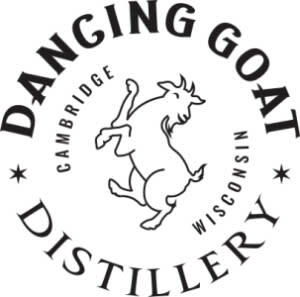 Tucked in the vineyards of Cambridge, Wisconsin just outside of Madison – the Dancing Goat combines the Art and Science of Distillation from past experience with modern technology. Enjoy a craft cocktail at the Tasting Room today. A world-renowned fine art printmaking studio and art gallery affiliated with UW-Madison. Featuring artwork that spans a wide variety of styles, sizes, and price points by emerging and established artists, Tandem can help you find the perfect piece of art for your home or office. Healthy, high-flying fun featuring freestyle bouncing, dodgeball, fitness programs & more! Host your next event with Sky Zone and our staff will handle the details so you can focus on having a great time.